Samsung has unveiled its highly rumored Galaxy S8 and S8+ and they don’t come alone. The company is certainly stepping up this year, not only offering some design upgrades but also throwing in free goodies. Samsung’s latest smartphone duo comes with a pair of wired headphones from Harman’s AKG brand. Samsung revealed at today’s Unpacked event in New York City that the Galaxy S8 buyers will get a pair of wired AKG headphones free in the box with their phone. The headphones will be sold separately for $99, making it an amazing offer for the S8 buyers. While we can’t say much about the sound quality right now, AKG is known for making great audio products, making this free inclusion a major upgrade over the typical earphones you get for free with the phones. In its announcement, Samsung said the “new high-performances earphones” that are tuned by AKG by Harman offer uncompromised audio for unbeatable sound quality. “These earphones will have a comfortable hybrid canal fit for better noise cancellation and will be made from anti-tangle metal-fabric material,” the company added. When Apple removed the 3.5mm headphone port, it was assumed that Samsung might follow suit. However, the Korean tech giant definitely wants to win the port-hungry users with even better audio quality. It may take a year or two before everyone comes onboard the wireless audio train – especially after the wireless charging technology – and until then, getting this sweet $99 pair of headphones won’t make anyone upset. Samsung had acquired Harman at the end of the last year and definitely didn’t take any time to put its new acquisition to win more customers. With Apple starting a war in the audio category and Google launching its own smartphones giving Samsung a run for its money, the Korean firm had to step up this year to fight the battle on both the fronts. 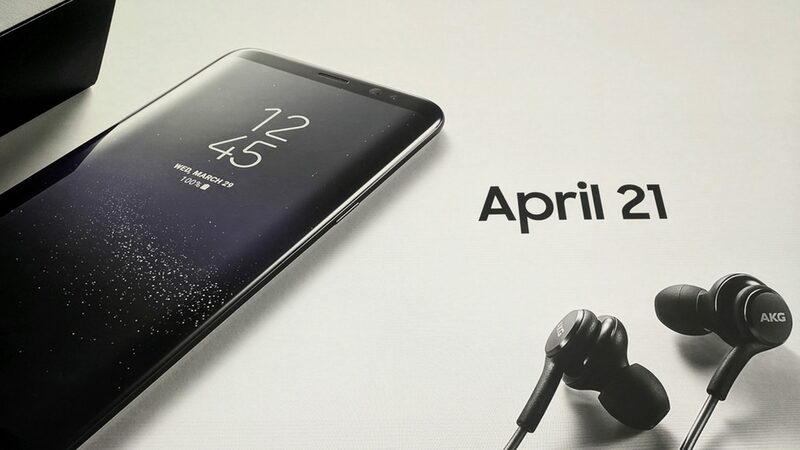 Samsung’s Galaxy S8 and S8+ will be available on April 21 globally, and up for pre-order on March 30. For more details on pricing and pre-order, check this post. Are you buying the new Samsung Galaxy S8 or S8+?